When talking about this or giving a presentation I always like to ask the question, “How many people have ever had food poisoning?” Usually get one or two hands raised. The truth of the matter is we all pretty much have in one-way shape or form. When’s the last time you had a 12 or 24 hour stomach bug? I got news for you, chances are you have been infected. Ice is Food, we must treat it that way. Knuckles, scoops and buckets all have bacteria that can contaminate your whole supply of ice, ending up in your customs’ drinks. Careless ice scooping leads to puddles of melted ice, making your employees susceptible to slips and falls, causing serious injuries, there a cart for that. 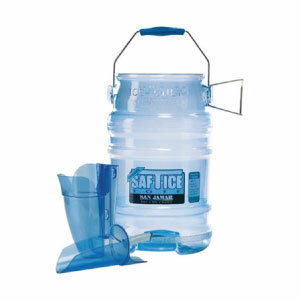 Protect your image and your employees by safely handling drinks and ice with the Safe-T-Ice system. EcO3Ice by Franke – Sanitize your ice, the evaporator plate, the bin, and your drain, all with a chemical-free solution by Franke. 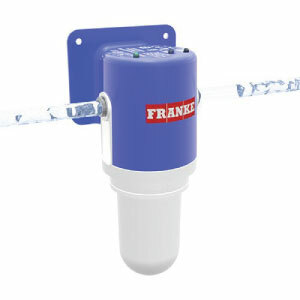 The EcO3Ice generates Ozone, a harmless tasteless solution to clean ice. EcO3Ice will kill bacteria and biofilm, fights yeast and mold, reduces the risk of foodborne illnesses all without using harmful chemicals.